© 1976 Hinshaw Music, Inc.
© 1987 Birnamwood Publications, a div. of MorningStar Music Publishers, Inc. In Revelation, John beholds the tree of life, which bears twelve kinds of fruit and whose leaves “are for the healing of the nations.” The tree is personified in this hymn text as Jesus Christ himself, whose passion, death, and resurrection offer “healing, strength, and pardon” to all peoples and nations. Péceselyi’s poem is also a confession of our sin and an assurance of our pardon, as we commend ourselves to God using the very words of Christ, who on the cross commended himself to the Father. Inspired by a Hungarian Good Friday poem on the tree image in Scripture, Erik Routley’s text personifies the tree of life in Revelation 22:2 as Jesus Christ, whose death and resurrection, offer “healing, strength, and pardon” to all peoples. The Catechism says that those who know Christ’s forgiveness are “to thank God for such deliverance” (Heidelberg Catechism, Lord’s Day 1, Question and Answer 2). As a result, “With our whole lives we may show that we are thankful to God for his benefits, so that he may be praised through us, and that we may be assured of our faith by its fruits, and so that by our godly living our neighbors may be won over to Christ” (Heidelberg Catechism, Lord’s Day 32, Question and Answer 86). Lord Jesus Christ, savior of the nations, you were willing to suffer that we might be healed. You did not hold yourself aloof from human misery, but took the worst of it to yourself. You did not let the cup of sorrow pass, but drank it down. We give you humble thanks, that you did all this for us, your weary ones. Holy Jesus, we give you humble thanks. Amen. O Jesus, you know the anguish of our human lives. bring comfort, peace, and strength. send your Spirit to correct us in our unfaithfulness. stand alongside those who feel alone and abandoned today. give hope and assurance to those who feel rejection. bring peace and healing to those who are tortured by enemies. hear us when we do the same. We approach your throne of grace with boldness. May we receive mercy and grace in our time of need. Amen. Fitting for any time during the Lenten season, the text also allows the song to be sung during a service of confession and assurance or perhaps following communion. In addition, the poetic nature and triumphant tune make it appropriate to use during profession of faith, baptism, or remembrance of baptism. One option is for the person professing or being baptized to read a stanza or two of the text while the music is played underneath. Or, if they are willing, have those professing or a small group sing their favorite stanza as a small choir or solo. Have a choir introduce the first few stanzas of the song, with the congregation joining in no later than stanza 5, which is a proclamation all should sing. Invite children to sing this song or have the text read in their Sunday school classes; encourage them to draw pictures based on the images they sing about or read in this text. These images either could be projected during a worship service, used as bulletin covers, or held by children as they walk the aisles with their own drawings while the congregation is singing the song. Have a soloist sing stanza 4 as “the Voice” that welcomes the weary. Use full accompaniment and instrumentation with a trumpet on the final stanza, or create a descant by using the tenor line. Try not to rush this hymn; instead make sure to savor the rich text and strong tune. Serene in its strength and beauty, SHADES MOUNTAIN is easily learned and not as easily forgotten. The opening melodic figure is a musical herald: good news is about to be proclaimed. The satisfying melodic arc reaches its climax in the third phrase, and then the shortened concluding line suggests a summative exclamation. This is a stately hymn – one to be savored. Don’t let a rushing tempo trivialize either the text or the tune. Attend carefully to the text to discern how best to capture its subtle drama in worship. For example, have a soloist (or choir) be the “apostle,” rendering the vision of stanzas 1-4. At stanzas 5-6, the entire congregation should sing with full accompaniment, affirming their faith in God’s grace as displayed in Christ’s sacrifice. Erik Routley prepared this unrhymed loose paraphrase from a prose translation of the Hungarian hymn “Paradicsomnak te szép élo Fája" for inclusion in the 1974 edition of Cantate Domino. Routley served as chair of the editorial board for that ecumenical hymnal published by the World Council of Churches, and he was undoubtedly instrumental in seeing to it that there was at least one example of a hymn from Hungary, along with translations in German and English. Dieter Troutwein worked with Vilmos Gyöngyösi to prepare the German text, which is more a translation. Routley’s text is so different from the original that it could be better considered his own text, inspired by the Hungarian hymn. Yet, it is a powerful link to a tradition about which little is known; at the time, Routley wrote that this hymn “is just about all that is yet available from Hungarian Protestantism." We still have little access to translations of Hungarian hymn texts, but “There in God’s Garden,” is a wonderful example, made especially memorable by the tune SHADES MOUNTAIN. 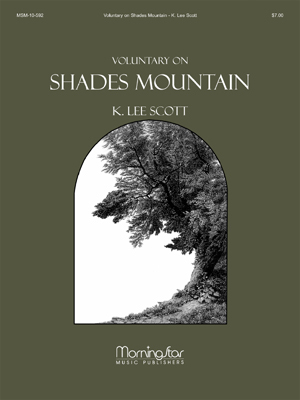 Scott wrote SHADES MOUNTAIN for Routley’s text as a commission for the Episcopal Churches in the Diocese of Alabama for their Year of Evangelism in 1995. He named the tune after the mountain on which he lives near Birmingham, Alabama; Shades Mountain is the first ripple on the bottom of the Appalachian chain. He remembers studying Routley’s texts (“because Routley had such an eye for texts”) and being drawn especially to this one because it was so panoramic. In fact, it’s very panoramic scope makes it difficult to decide where to place it in a hymnal. 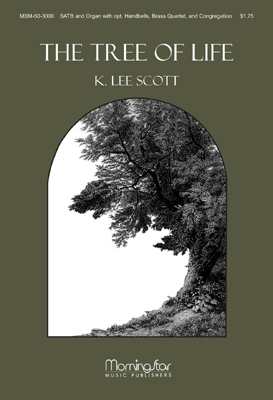 Scott remembers late at night sitting on the organ bench with just the organ light on in little Altadena Valley Presbyterian Church, walking back and forth from the organ bench down the aisles, as the tune gradually emerged out of his meditating on the text. Erik Reginald Routley (b. Brighton, Sussex, England, 1917; d. Nashville, TN, 1982) composed the harmonization of COLERAINE for Rejoice in the Lord (1985). Routley is remembered as perhaps the most significant English hymnologist of the twentieth century. Educated at Magdalen and Mansfield Colleges, Oxford, and Oxford University, Routley was ordained to the ministry in the Congregational Church in 1943. He served Trinity Congregational Church in Wednesbury and the Dartford Congregational Church in Kent. In 1948 he became lecturer in church history as well as chaplain, librarian, and director of music at Mansfield College. He accepted a call to the Augustine Congregational Church in Edinburgh in 1959 and moved to Newscastle-upon-Tyne to minister to St. James Church in 1967. Coming to the United States in 1975, Roudey took the position of visiting professor of music at Princeton Theological Seminary and professor of church music at Westminster Choir College, where he remained until his death. Routley wrote thirty-seven books on church music, church story, theology, and worship, including Hymns and Human Life (1959), Words, Music, and the Church(1968), A Panorama of Christian Hymnody (1979), and The Music of Christian Hymns (1981). Editor of the Bulletin of the Hymn Society in the British Isles from 1948 to 1974, he was also a member of the editorial committees ofCongregational Praise (1951), Cantate Domino (1974), and Ecumenical Praise(1977). Routley wrote the musical notes for Companion to Congregational Praise (1953), compiled and edited Rejoice in the Lord (1985) for the Reformed Church in America, participated in issuing various hymnal supplements, and produced a number of recordings. A composer of numerous anthems as well as a frequent lecturer and outstanding teacher, he made invaluable contributions to church music and was especially appreciated for his critical opinions and wit, many examples of which occur in his Organist‘s Companion to "The [1972 Presbyterian] Worshipbook" (1975). His collected hymn texts, tunes, and carols were published as Our Lives Be Praise (1990). Routley was posthumously honored as a Fellow of the Hymn Society in the United States and Canada in 1985. Pécselyi Király Imre (c.1585–c.1641), began a career as a school teacher in Komarom (now in Slovakia) before studying theology in Heidelberg (1609–1612). In 1615 he became a pastor in a Reformed church in Komárom, later in Érsekújvár. He also served as dean of the tractus (like a classis or presbytery). He wrote several studies, including a popular introduction to rhetoric, a catechism dedicated to the Protestant soldiers in Érsekújvár, and a theological treaty. 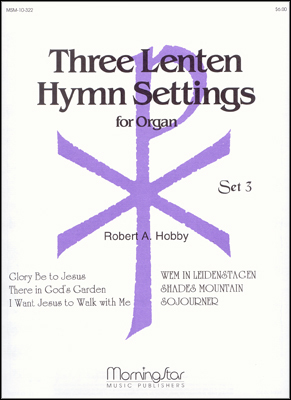 He also wrote several hymns that are still included in Hungarian hymnals. K. (Keaton) Lee Scott (b. 1950) is an internationally known composer and choral conductor of church music. A life-long resident of Alabama, he received two degrees in choral music from The University of Alabama School of Music and has served as adjunct faculty for The University of Alabama School of Music, the University of Alabama at Birmingham Department of Music, and Samford University School of Music. He travels widely as a guest conductor and clinician in North America and beyond. He is also director of music at Altadena Vallley Presbyterian Church. He has traveled extensively as guest conductor and clinician throughout the United States, as well as to Canada and Africa. In addition to hundreds of hymn texts, Scott composed a Requiem in 2013, in honor of the 50th anniversary of the bombing of the 16th Street Baptist Church in which four young girls were killed.